I and my wife Camilla started the Swedish website Kalimera 1997. A few years later, we launched Kalispera, our English site about Greece. We started Picturesfromgreece 2010. Here we publish photos of all the islands we have been to, and from some places on the Greek mainland. Hope you enjoy the pictures. 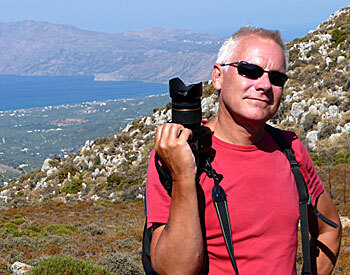 We have travelled in Greece for more than 35 years, and we have visited 65 Greek islands. Over the years we have photographed a lot. At the time of writing we have more than 120,000 photos from Greece.